This is my second installment of Friday Favorite with a Flair. I came up with this weekly post because I wanted to be able to pull out my favorite polishes even if I already had swatches of them on my blog. I decided to add a little something (flair) to my favorites to make them a little more interesting. 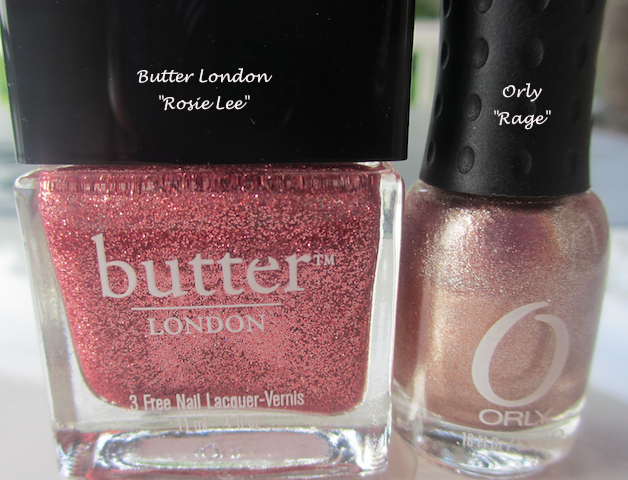 Orly Rage is a favorite of mine. It's a beautiful rose gold metallic polish. It applies like a dream and it has an awesome finish! As for the "flair" - I added Butter London Rosie Lee. I have seen a few of my favorite Youtubers put Essie "A Cut Above" over Rage or even O.P.I. 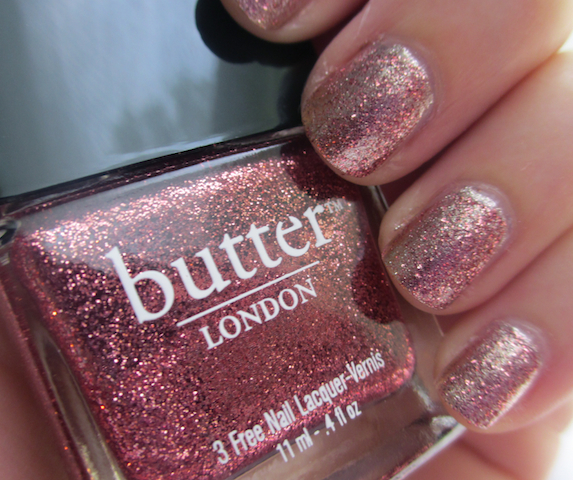 Designer De Better (another rose gold polish). I was planning on picking up A Cut Above and trying it, but then I remembered I had Rosie Lee. The glitter isn't as large as A Cut Above, but it serves its purpose:) It was hard to capture the true beauty in photos - it was a little too shiny for the camera! Thanks, me too. You should see it in person. Really??? LOL. I do LOVE Rage:) I associate OPI Ballet Collection with you! This is a gorgeous combination!! I've never seen Orly Rage before, can you believe it?? I love the glitter with it.